Adobe Brackets, a modern open-source code editor for the web, has reached the 1.11 release a day ago. Here’s how to install it in Ubuntu 14.04, Ubuntu 16.04, Ubuntu 17.04, and derivatives. 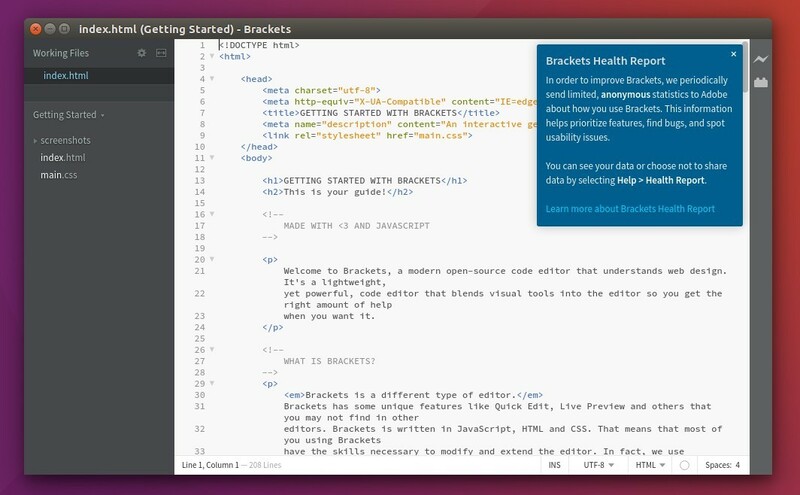 Brackets now offers full support for the Linux platform. Fix a few minor issues found by lgtm. Adobe offers the official .deb packages in the github release page. 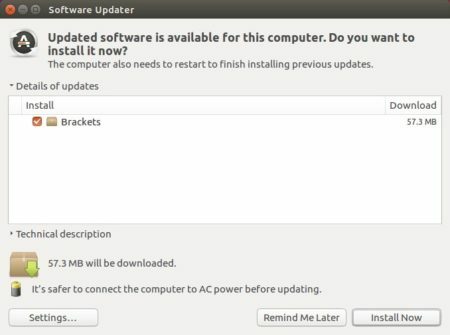 For those who want to receive updates though Software Updater, you can use the Webupd8Team PPA which provides Brackets packages for Ubuntu 14.04, Ubuntu 16.04, Ubuntu 17.04, and derivatives.